I suppose one of the defining features of a film snob is abhorrence for television. All those commercial breaks, laugh tracks, overwrought dramatics. But in both film and television there’s a lot of crap – you just have to know where to find the good stuff. So as a film fan who does not have cable or those digital boxes to even watch basic channels, here are the shows (past and present) that make me wish I did. After friend Cheri B. and the /Filmcast mentioned the comedy show Community, I gave it a shot. But just like crack, cigarettes, and potato chips, you can’t just have one. Within a week I had watched the entire first season, laughing my silly head off the entire time. My wife coaxed me into watching Arrested Development and 30 Rock, which are fun, but don’t have me laughing nearly as much as Community. 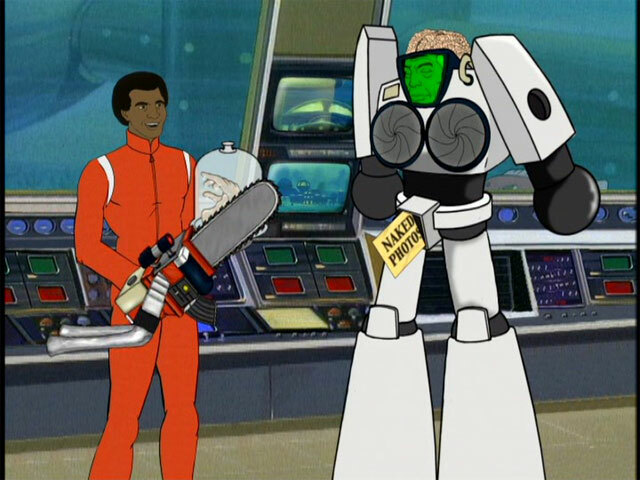 The genius of the show is that it’s working with three different comedy schemes: Mel Brooks style 4th wall breakage, film references left and right (without totally sidetracking an episode and/or becoming annoying [coughcoughFamilyGuycough]), and quality writing. The show swings between these ingredients with Spider-Man like grace. If you’re not feeling one type of comedy, there are others to pick up the slack. Forget Glee, this show is much better. This show is currently at a cross-roads for me: I started it and immediately fell in love. 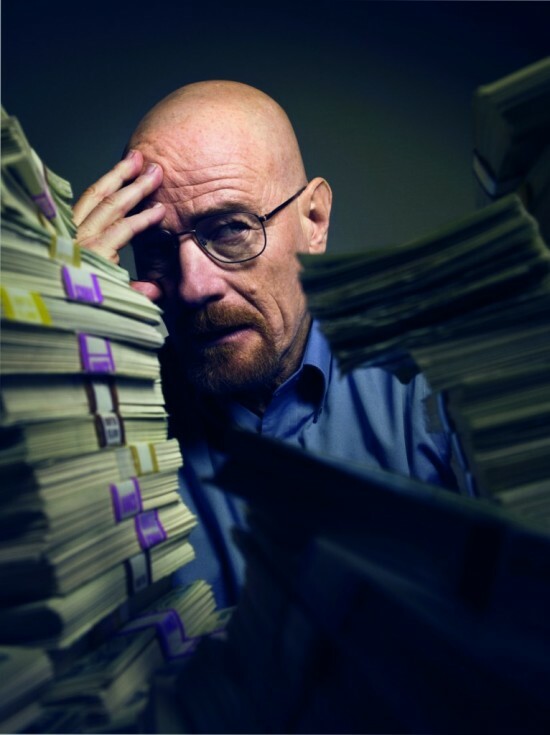 Who wouldn’t want to watch a high school chemistry teacher figure out how to cook and distribute meth? It’s a fantastic drama, with Bryan Cranston (yep, the dad from Malcolm in the Middle) doing wonders with the character. 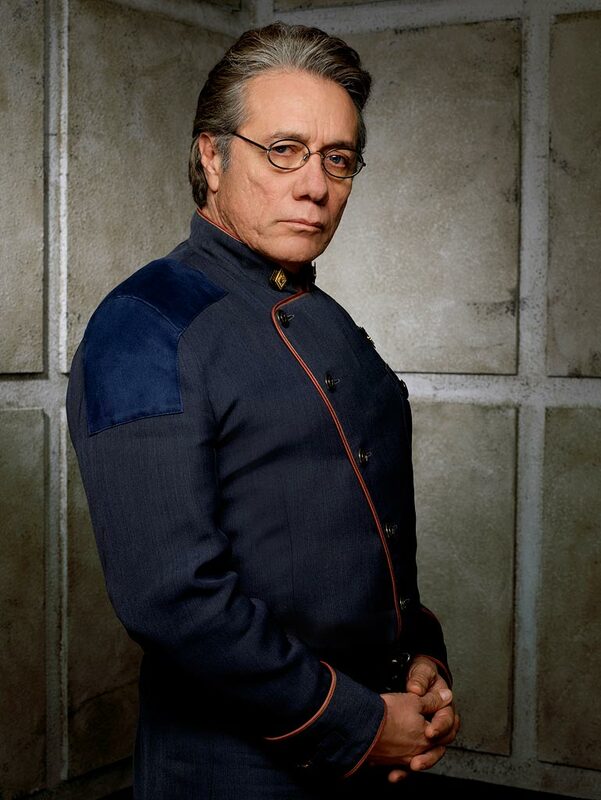 Battlestar of course has finished up as of 2009 with 4 seasons under its belt. Yes, the last season and a half is weaker than the rest of the show – but it is worth the entire ride. Even when it wasn’t packing a solid punch during these periods, it still had some hands down, knock out episodes. Not to mention that among some great characters, you have older male and female leads who get to be wise and awesome due to the nature of their characters. Not something you get to see too often. The first episodes are known as the mini-series, so if you start watching make sure you start off on the right foot. These episodes alone stand as some of the finest moments of sci-fi storytelling and if you aren’t eager to watch the show after it’s audacious intro, you do not like movies or tv. I’m going to shamelessly plug this animated show. I have been sharing this with so many people, I almost feel like I had a hand in making the show. Surrealist animated comedy (each episode is 11 minutes), it’s some of the funniest television I’ve ever found. Immensely quotable and I’m sure a crowd of people hanging out and drinking would find this to be a delight. This entry was posted in Filmsmith Faves, Lists and tagged AMC, Battlestar Galactica, Breaking Bad, Comedy, Community, Drama, Sci-Fi, Sealab 2021, Sitcom, TV. Bookmark the permalink. I find myself watching more TV nowadays than movies. In fact, I’d say that, especially this year, the TV I’ve been watching is a lot more original and entertaining than movies have been. Some other shows that I’m a big fan of: Mad Men, Justified, The Walking Dead, It’s Always Sunny in Philadelphia, Eastbound & Down, Hung, Modern Family, The Big C, Terriers (I’m also a huge fan of Community/Breaking Bad). I’m also very excited to start watching Boardwalk Empire. I have read a few things about Boardwalk and with Buscemi leading, I’m definitely interested. Is it on HBO? Yes it’s on HBO, I haven’t seen any of the episodes yet but I have a bunch of them downloaded. I’m pretty excited. Scorsese directed the pilot, Buscemi in a starring role, plus there’s an amazing supporting cast full of actors I love (Michael K. Williams, Kelly Macdonald, and Michael Shannon just to name a few). Great review of Community. I did much of the same thing as you – tried out one episode and ended up watching the whole first season in a few days! 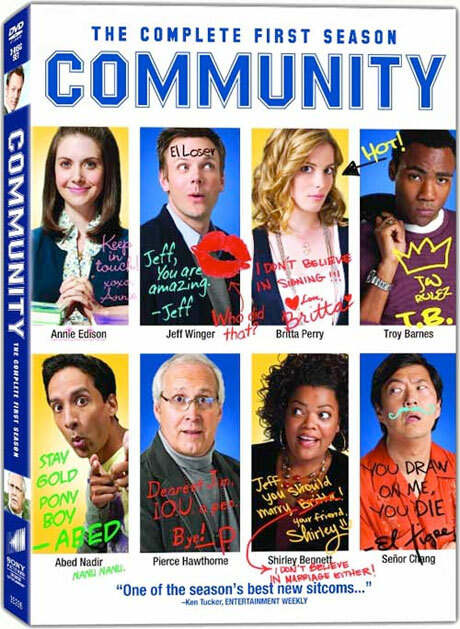 I’m a huge fan of Arrested Development and 30 Rock, but I have to agree that the more and more I watch Community, the more and more it rises to the top of the pack. And you are completely correct in stating that they find a way to include several different types of comedy. I think it is a genius way to attract a varied audience; especially since they combine them so seamlessly.